Garbanzo beans, also known as chickpeas, Bengal grams, and Egyptian peas, are an incredibly versatile legume used in many Middle Eastern and Indian dishes like hummus, curry and falafel. The delicious nutty taste and buttery texture make chickpeas a favorite source of protein for vegetarians and meat-eaters alike. But deliciousness and protein aside, chickpeas offer a lot of health benefits. Here are 6 reasons why you should be eating more of them. 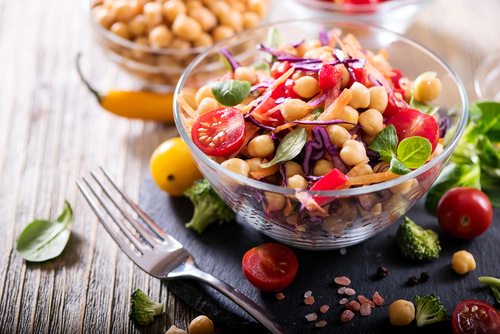 Most people are looking for ways to lower their LDL cholesterol levels, and it turns out, chickpeas are one delicious way you can do it. Packed with cardioprotective nutrients such as folate, magnesium and fiber (both soluble and insoluble), chickpeas have the ability to reduce your bad cholesterol and, in turn, reduce your risk of developing coronary heart disease. Clinical studies have suggested that fiber, particularly soluble fiber, can lower LDL levels, and folate has the ability to control high homocysteine levels, another well-known risk factor for heart disease. Magnesium helps your heart by relaxing your arteries allowing blood to flow effectively. When we think of foods that boost the immune system, we typically think of citrus fruits like oranges and lemons that are rich in Vitamin C. And while there is no denying that Vitamin C is necessary for optimal immunity against things like the cold and flu, the spectrum of immune-boosting foods is broader than most people realize. Our immune cells need zinc and copper to develop and function properly, and it just so happens that chickpeas are an excellent source of both. In fact, just one cup of cooked chickpeas provides nearly 30% of the Daily Value for copper and about 17% of the Daily Value for zinc. People that carry around extra weight are at risk for developing numerous diseases like diabetes, heart disease and hypertension. It turns out, chickpeas can also help you shed those extra pounds. Legumes like chickpeas are loaded with protein and fiber, both of which have been proven to increase satiety. This means you can reduce your caloric intake yet still feel contentedly full. Many people refrain from eating legumes because they are known to cause significant intestinal gas, which can be a bit embarrassing at your boss’ dinner party. And while chickpeas may cause some people to experience gas, they actually offer some interesting benefits for those who suffer from gastrointestinal maladies. A report published in the British Journal of Nutrition in 2012 suggested that chickpeas have the ability to improve overall gut health. It turns out all of that beneficial fiber helps move… material through your system, preventing constipation and the associated pain and toxicity. As if the benefits I’ve already listed weren’t enough to get you to eat more chickpeas, this last benefit is truly significant. Eating chickpeas may offer protection against certain types of cancer. Remember I mentioned chickpeas improve your overall gut health? 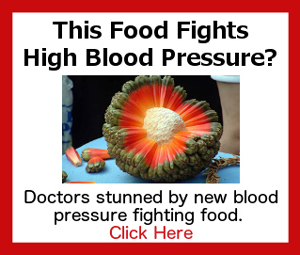 One way they do this is by supporting the good bacteria (probiotics) in your gut. These probiotics ferment chickpea fiber in your gut and produce a metabolite called butyrate. This short-chain fatty acid has been shown to suppress proliferation and induce apoptosis (self-destruction) of cancerous cells. In addition, beta-sitosterol, the main phytosterol in chickpeas, has been shown to reduce colon tumors in rats. Did you know that one of the most common nutritional deficiencies in the entire world is an iron deficiency? This deficiency leads to anemia, a condition in which the body does not have enough healthy red blood cells. If you have experienced weakness, fatigue and dizziness, these may be symptoms of anemia, and your body is trying to tell you it is having a hard time getting enough oxygen to all of your body’s tissues. Loss of appetite, brittle nails and hair loss are other symptoms your body may need more iron. Vegetarians often have a hard time ensuring they get enough iron into their diets. Luckily, eating iron-rich foods like chickpeas can get your red blood count levels back up to a healthy range. Just one cup of cooked chickpeas contains 4.7 milligrams of dietary iron, which corresponds to about 26% of the Daily Value for iron. Now that you know you should be eating more chickpeas, let’s talk a little bit about the best way to do it. First, don’t buy and eat canned chickpeas. There is cause for concern over the amount of BPA found in canned foods. The whole point here is to get health benefits from chickpeas, not carcinogens! Fear not, because cooking chickpeas is really easy and can be done on the stovetop. When cooking, always use a 3 to 1 ratio, meaning for each cup of dried beans, use three cups of water or broth. Once you’ve brought your chickpeas to a boil, reduce heat to a simmer and keep the pot partially covered. Now that you have some healthy and freshly-prepared chickpeas, what should you do with them? Make your own hummus spread by pureeing chickpeas with a little olive oil, tahini, fresh garlic and lemon juice. Chickpeas make a great snack and can be popped into your mouth like popcorn. Simply sprinkle a little salt and your favorite herbs and spices and enjoy a healthier snack while binge-watching Netflix. Add some chickpeas to your salad. Do a quick Google search to find an almost-endless supply of chickpea recipes. There you have it – 6 great reasons why you should be eating more of these delicious legumes, how to cook them and a few recipe ideas to get you started. Bon (or should I say Bean) appetite! Thanks for your nutritional information. Happy holidays- Hannuka, Kwanzaa and christmas.. I really appreciate this. Interestingly, I bought the dried chickpeas a few days ago and boiled them slowly over a few hours yesterday.I threw out that water and boiled them again, leaving them to soak overnight in fresh water and salt. I had planned that today, I would curry them with some pumpkin and enjoy them with homemade roti.